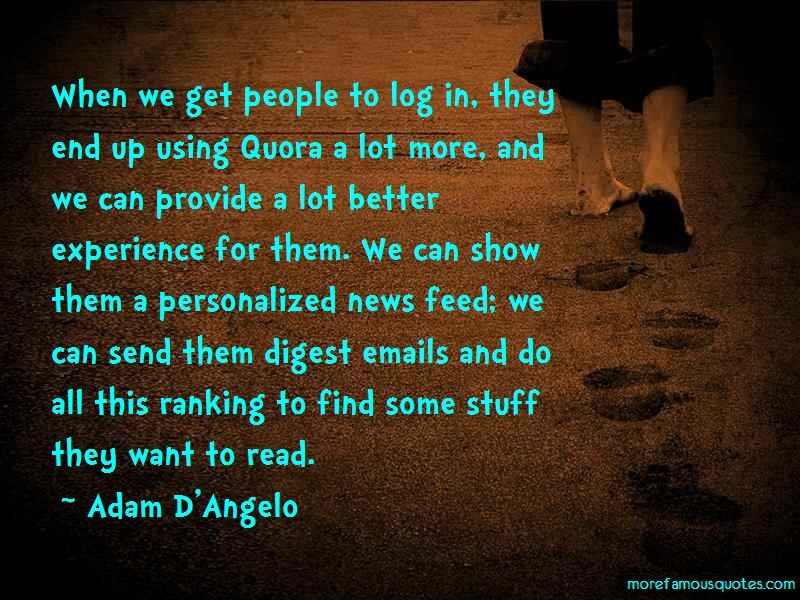 Enjoy the top 33 famous quotes, sayings and quotations by Adam D'Angelo. Anything you want to know, you go to Quora and get it. And at the same time, give people a platform that is easy to use for sharing the knowledge. When companies get big, they slow down. They're not as exciting. If you want to get something done, it takes a lot of time and a lot of meetings. We need to build systems that can automatically figure out what's high quality and what's not, and encourage users to contribute high-quality content. There's a lot of technical challenges in that. We want Quora to last forever, and in order to last forever, it's going to need to have revenue. One of the best things about ads is that you don't need to exclude anyone. When you look at Google, its job is to find you the perfect web page. There are a lot of cases when you want to know something and a list of websites isn't ideal. You have to get comfortable giving up control, and you find people who do things better than you do. Quora now does better with the team we have built. 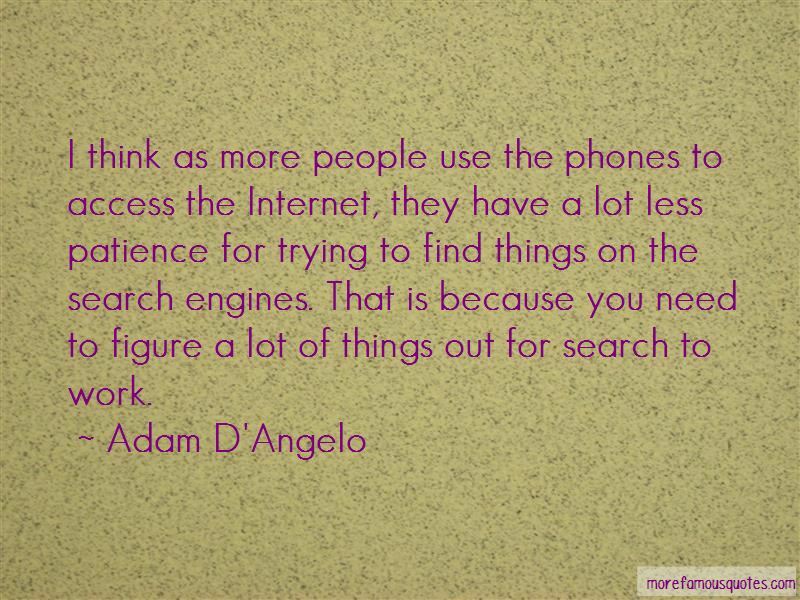 Want to see more pictures of Adam D'Angelo quotes? Click on image of Adam D'Angelo quotes to view full size.